The following people acknowledge the importance of the search for the leaders of the future and support the Nudge Global Impact Challenge. To endorse this position they are a member of the Advisory Board. We wish to express our gratitude to all of these people who provide their support. Ms Annette D.S.M. 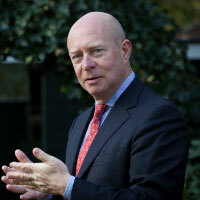 Nijs, MSc, MBA, is an economist and China expert. Annette is the founder of the China-Agenda providing deeper understanding to all who are interested or concerned about China. She is the former Executive Director Global Initiative of China Europe International Business School (CEIBS). Annette is a former Cabinet Minister for Education, Culture and Science in the Netherlands and a former member of the Dutch Parliament. Before joining CEIBS she worked for Nyenrode Business University in the Netherlands. Annette started her career with Shell. 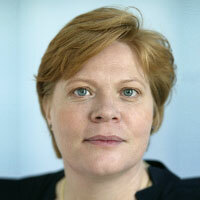 Ms Teresa Fogelberg is the former Deputy Chief Executive for the Global Reporting Initiative. She has profound experience in climate change as the former Director of Climate Change at the Ministry of Environment and former head of the Dutch Delegation of Conference of Parties (COPs) by the United Nations Framework Convention on Climate Change. Teresa brings more than 30 years of expertise and executive and board experience as top level diplomat and director at Ministry Foreign Affairs, Ministry of Environment, OECD, and UN. 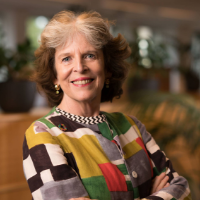 She currently serves as member of the Daimler Integrity and Sustainability Board; member of the Advisory Board OECD Business for Inclusive Growth Platform; and Board member of ICIMOD, Questionmark and SEED International. 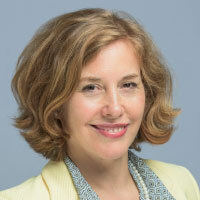 Ms Alicia García-Herrero is Chief Economist for Asia Pacific at NATIXIS. She also serves as Senior Fellow at European think-tank BRUEGEL and research fellow at Real Instituto El Cano. Alicia Garcia Herrero is currently adjunct professor at City University of Hong Kong, visiting faculty at University of Science and Technology (UST) as well as at China Europe International Business School (CEIBS). In previous years Alicia held the following positions: Chief Economist for Emerging Markets at Banco Bilbao Vizcaya Argentaria (BBVA), Member of the Asian Research Program at the Bank of International Settlements (BIS), Head of the International Economy Division of the Bank of Spain, Member of the Counsel to the Executive Board of the European Central Bank, Head of Emerging Economies at the Research Department at Banco Santander and Economist at the International Monetary Fund. Alicia holds a PhD in Economics at George Washington University and has published extensively in refereed journals and books. 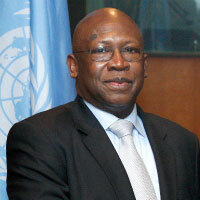 Mr Abdoulie Janneh former United Nations Under-Secretary General and Executive Secretary of the UN Economic Commission for Africa (ECA) (2005-2012), Mr. Abdoulie Janneh is currently a Board Member/Executive Director at the Mo Ibrahim Foundation in Dakar, Senegal. He had earlier served as UN Assistant Secretary-General and UNDP Regional Director for Africa from June 2000 to October 2005. Mr. Janneh is an active participant on the Boards/Advisory Panels of several organizations involved in Africa’s development, notably the Africa Forum of Former Heads of State and is the President of the Governing Board of the Africa Governance Institute. He is the author of the book “Integrating Africa” and recipient of various honors/awards including the “Distinguished Africa Economic Icon of the Year Award 2011” and an honorary doctorate degree from the Lead City University (LCU), Ibadan, Nigeria. 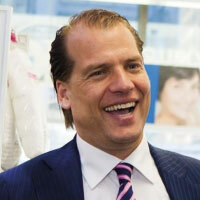 Mr Kees Tielenius Kruythoff is President of Unilever’s Home Care business. 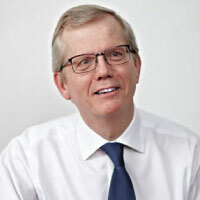 He has enjoyed a long career history with Unilever, working in senior roles for the company since the 1990s, based in countries across Europe, Africa, Asia and America. Most recently, he was President of Unilever’s North America cluster for over 6 years. Before that, he was CEO of Unilever Brazil, the second-largest Unilever business, where he was nominated as one of the country’s top leaders in sustainability. 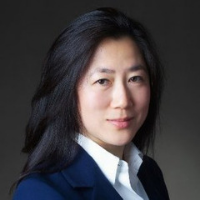 Ms Lan Ma, former Global Marketing Director, DuPont Solar, based in Shanghai. Dr. Lan Ma brings 18 years of global marketing and strategy experiences with leading companies such as DuPont, Proctor & Gamble and McKinsey & Company, in China, Japan, Singapore and the US. In her role as Global Marketing Director, Lan led the global marketing team for the DuPont Tedlar® business. Born and raised in China, Lan received a Bachelor’s degree from the prestigious Beijing University before moving to the US to complete her Doctorate. 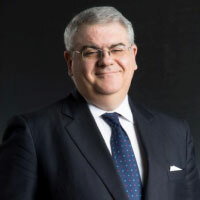 Mr Marcello Palazzi, BSc MSc MBA, philanthropreneur, founder and president, Progressio Foundation and co-founder, B Lab Europe, among many other public-good ventures. Marcello coined the notions of “civic” enterprise, economy and leadership in the late 80s. Since then, he has initiated or been involved in 300 “civic” projects in 33 countries, partnering with UN agencies, governments, foundations, corporations and NGOs. Several projects have led to the creation of independent organizations, such as ResponsAbility AG, The Copenhagen Centre, The Bremen Initiative, The New Academy of Business and Social Venture Network Europe. Marcello’s Alma Maters: London School of Economics, London Business School, Erasmus University, Harvard University. “Nudge has got the formula right for a truly outstanding and inspiring program which cannot easily be found elsewhere. As a Harvard, LBS and RSM alumnus, currently Visiting Scholar at MIT, I can safely say that the Nudge Global Impact Challenge will uniquely equip participants with the mindsets, tools, contacts to make a positive difference in the world”. Mr Daniele Sacco is Group HR and Organization Director at Gruppo Mondadori. He is an experienced HR professional who has been working within the HR discipline for more than 25 years. Daniele has held both HR generalist and specialist roles at country, regional and global level and has experience across multiple industries including technology (Hewlett-Packard), finance (Italian Stock Exchange), FMCG (Kraft, Ferrero) and mining (Rio Tinto).